Last week I wrote about the Build-a-Bear Workshop and suggested you are never too old for a teddy bear. Well the same is true for a visit to the Warner Bros studio and their “Making of Harry Potter” tour. When C had a week off around her birthday recently there were a couple of things she wanted to do: Thorpe Park with her boyfriend and two of their mates, and take Dan to what we call “Harry Potter World”. We have been a few times and are firm fans (here is one of our previous reviews) so it was no surprise that C decided she wanted to show Mr M so he had some idea of what she was talking about. I love the idea of having a week off work and going out for lots of day trips, dont you? A true staycation. They also went to the Spinnaker Tour in Portsmouth, with its stunning views, but visited the Cadburys shop at Gunwharf Quay and brought back a bag of misshapes which are one of my favourite things ever. As per usual C forgot her camera in Portsmouth but made very sure she didn’t for the trip to Harry Potter. And so fab are the pics that I asked if I could share some with you to encourage you all to go. And tell you about #WandWeek. #WandWeek is this week, to coincide with Half Term and all the info you need is on their website. As is all the info on other up and coming events, such as Bludgers and Broomsticks in the summer, Dark Arts over half term in October, and our favourite, Hogwarts at Christmas in December. If you haven’t had a chance to see my earlier review of the Making of Harry Potter then let me fill you in. This is where the magic came to life and where you can wander on real sound stages and touch real scenes from the films. This is not a set built for tourists. This is the real deal. And, therefore, a big deal. I think we might brave the Dark Arts event in October in preparation for Fright Night at Thorpe Park (which I am properly terrified about). oh wow. Lily will surely squeal!!! You are going to have an amazing time. And enjoy the butter beer too! 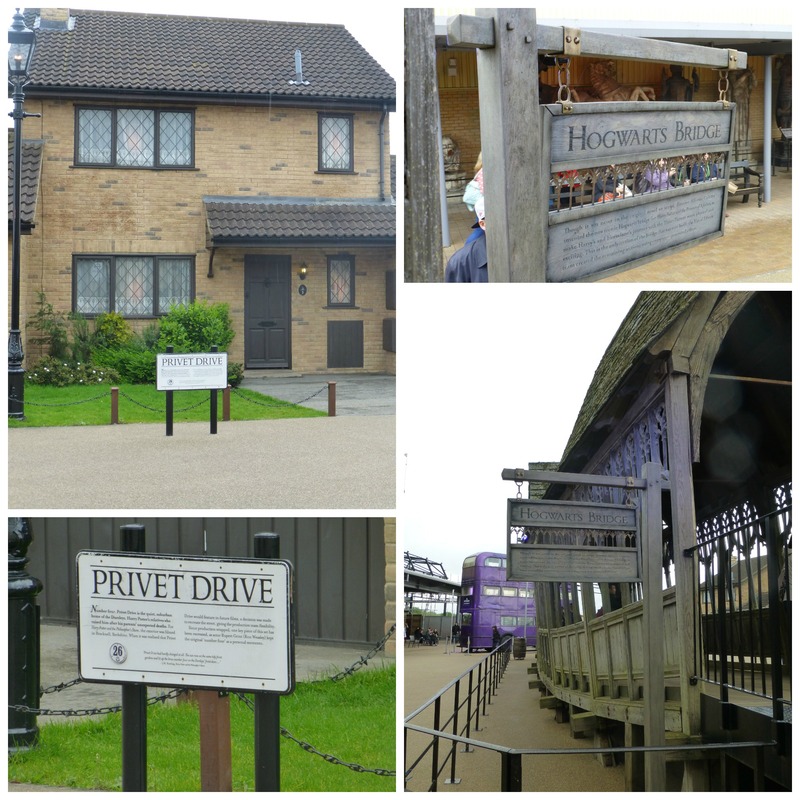 I loved our two trips last year and would to go again.Such a brilliant day even if you’re not a Harry Potter fan (we’re obsessed!). Halloween would be a great time to visit (second to Hogwart’s at Christmas) with the kids dressed up as some of the characters. I loved that, seeeing people dressed up too. It made it all come alive so much more. Hope we bump into you there! AGGHH Every time I see another HP Tour review on your blog I am pierced with a fierce sense of jealousy, then rage, then a desire to touch you so I can pretend I’ve been there too. 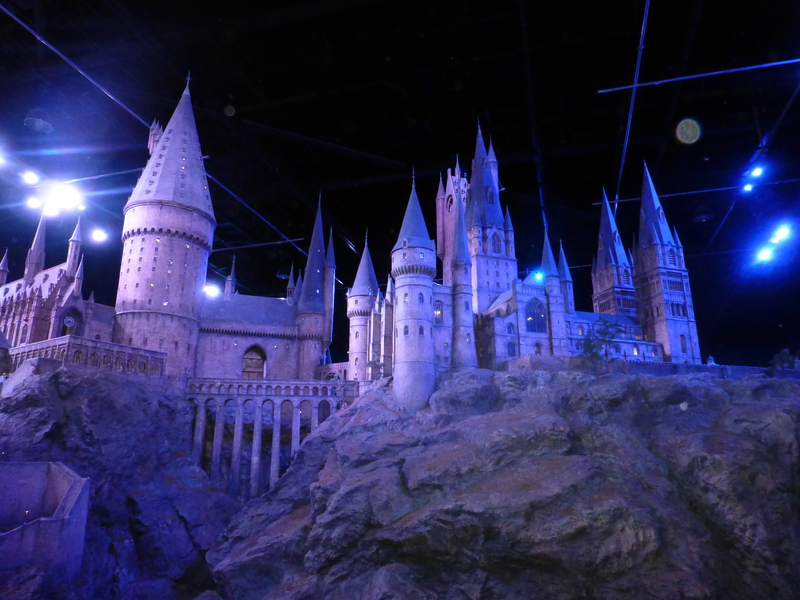 I am desperate to see “Harry Potter World” and I like the idea of seeing Hogwarts at Xmas. Will have to look into it properly this year. Maybe a bloggers outing? I am desperate to go to the Harry Potter tour, as is my teenager, definitely on our list for the summer, although I love a bit of spooky fun, so the Halloween event appeals too! I have bookmarked this. Brodie has a new obsession with Harry Potter and recently did his class talk on Why Harry Potter Is My Hero. I’ll definitely be taking him to see this. It looks absolutely brilliant… I feel shame faced as the Harry Potter Studio Tour is just up the road from where I live… literally minutes away and so I have no excuses for not going. I LOVE Harry Potter… I must make it to the studio before the year is out. Great review…. look at all those wands! :o). We went last year and I loved it. I really want to go back without the children now as I would like to wander around taking everything in at my pace. I can imagine that the Christmas event is amazing, the model of Hogwarts is fabulous anyway. *whispers* I haven’t read / watched all the films! Does it matter? hell no! You must still go. Honestly. We went the first time with people who hadn’t seen them all and they had a ball. Ohhhhh, I am so envious. Meeting Hedwig and seeing some of the props from the film was one of my real highlights of last year’s BritMums. I’m gutted that I never made it along for the full experience, but the wonderful thing about Harry Potter is knowing that it will be around for years and years to come so I’m sure I’ll get a chance sometime! Oh that looks amazing. I would love to visit – but have the opposite problem – my girls are too young. I don’t want to ruin Harry Potter by watching it before they are ready as I think they will love it when they’re a bit older. And I will love sharing it with them! I remember misshapes from visiting Cadbury World as child. I might have to visit Gunwharf VERY soon!